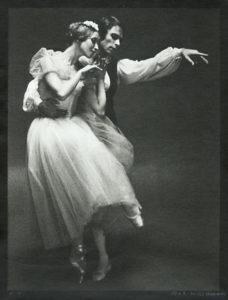 Natalia Makarova with Ivan Nagy in Les Sylphides. Photo by Max Waldman via Vintage Works. Pop quiz: which ballet looks just like Giselle, La Bayadère’s Kingdom of Shades and La Sylphide’s forest scene, but has little in common with any of them? Hint: it’s often confused with the last ballet on that list. Les Sylphides, originally named Chopiniana, may look like the story ballets that preceded it, but don’t be fooled by the white tutus and wings. Michel Fokine’s 1908 work creates an atmosphere, but not a narrative. With no evil sorcerers or lovesick princes, Les Sylphides is like a poem without plot. Beauty without explanation. And who better to bring to life the essence of the sublime than Natalia Makarova? (Honestly, she could stand still onstage and achieve that effect.) 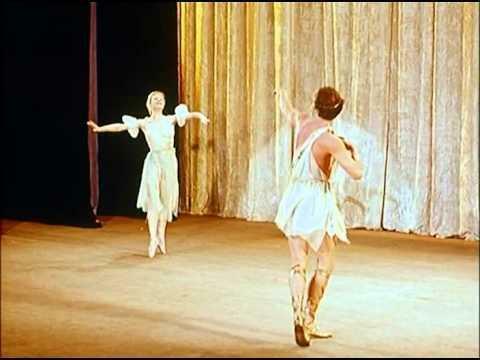 In this 1965 clip from the one act ballet’s main pas de deux, she and partner Vitaly Onoshko, at the time both dancers at the Kirov Ballet (now Mariinsky), seem to conjure a moonlit night on that sparse stage. Every move is effortless, radiating a calm sort of magic. With its departure from storytelling, Les Sylphides paved the way for everything from Balanchine’s Serenade to Wayne McGregor’s Chroma. Happy #TBT! Leslie Browne on the set of The Turning Point. Photo via Alchetron. Have you ever spent a later summer evening, with the first hints of cooler weather swishing through trees, reflecting on the memories of a season come and gone? This is precisely the mood Antony Tudor evokes in his 1975 piece, The Leaves are Fading. In this clip, former American Ballet Theatre principals Leslie Browne and Robert Hill perfectly capture memory's nostalgia. Browne swirls in and out of Hill's arms, energy sometimes picking up as if in a warm summer breeze. But mostly the pair's movements are soft and dreamlike. Rather than concluding the pas de deux with fanfare, the two fade offstage—indeed, like green fading gradually from leaves. Bogomolova and Vlasov in Spring Waters (1956) . Spring may be 10 days away, but we’re anxious for its arrival—so we’re dedicating this #ThrowbackThursday to the Spring Waters pas de deux. Created by Russian choreographer and former Bolshoi Ballet principal dancer Asaf Messerer, this short concert piece sounds sweet and serene in name, but its surprising acrobatics capture spring’s energy rather than its mildness. This first clip is from 60 (!) years ago. In costumes of white and gold, Bolshoi dancers Lyudmila Bogomolova and Stanislav Vlasov burst onto the stage like rays of sunshine. You can see how technical standards have changed in six decades, but this performance is hardly lacking. Bogomolova leaps fearlessly into Vlasov’s arms and radiates warmth in the slower partnering sections. Before their exit, he catches her, tosses her into the air and dashes offstage. 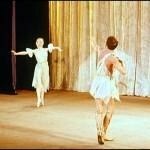 In this later clip from 1986, Maria Bylova and Leonid Nikonov’s technique is closer to what we are accustomed to. With higher legs come even more death-defying tricks. When Bylova runs to Nikonov from the corner, she takes a flying, head-first dive. At the end, holding Bylova with just one hand, Nikonov carries her effortlessly into the wings. This version seems almost more frenzied than the 1956 one, but none of the four dancers betray any hint of stress in Messerer’s challenging partnering. They dance like carefree lovers on a spring day. Do you have a favorite version? Asaf Messerer was Maya Plisetskaya’s uncle! Happy #ThrowbackThursday! Asaf Messerer and students including his niece, Maya Plisetskaya (left). Photo via Alamy Photos. Darcey Bussell in The Prince of the Pagodas. Photo via Robbie Jack. If you thought kissing a Frog Prince was strange, you’ve clearly never heard the plot of The Prince of the Pagodas. In 1989, Sir Kenneth MacMillan restaged John Cranko’s elaborate 1957 ballet, created to a commissioned score by Benjamin Britten. In this clip from a 1990 performance, The Royal Ballet’s Darcey Bussell dances the role of Princess Rose, whose compassion and love for a salamander—yes, a salamander—saves her father’s kingdom. Strange though the plot may be, Bussell and Royal Ballet principal Jonathan Cope dance with sincere clarity. Blindfolded, she learns to trust the Salamander Prince while he’s in human form, and Bussell is as expressive and candid with covered eyes as she would be otherwise. She aptly portrays hesitation and curiosity while she and Cope masterfully handle MacMillan’s complex partnering. The momentum builds, and his gentleness with her growing trust climax in a passionate kiss. MacMillan created The Prince of the Pagodas on then 19-year-old Bussell. More magical than a salamander-turned-human was the emergence of this stunning ballerina. After the premiere, Bussell was promoted to the rank of principal at just 20 years old. Happy #ThrowbackThursday! Bussell at 19, photo via The Independent. Svetlana Zakharova as Odile. Photo By Marc Haegeman via Indulgy. Swan Lake’s Black Swan pas de deux may be a chance for stars’ technique to shine, but it’s the acting—Odile’s wicked seduction of the blindly loving Siegfried—that gives me chills. In this clip from a 2004 recording of La Scala Ballet, Svetlana Zakharova finds fresh moments in Vladimir Bourmeister’s 1953 choreography to bewitch Roberto Bolle—and her audience. She undulates her arms and unfurls her legs delicately, mimicking Odette’s graceful wings, then entices him by crisply rebuffing her prince’s offered attentions. Did you shiver when she flicked her wrists and widened her eyes piercingly in her variation preparation? Bolle, meanwhile, dances with incredible fluidity. His open, easy carriage reveals both the dancer’s seasoned strength and his character’s vulnerability. Bourmeister’s Swan Lake is less popular than the classic Petipa/Ivanov staging, but it actually uses Tchaikovsky’s original composition. Music sound familiar? 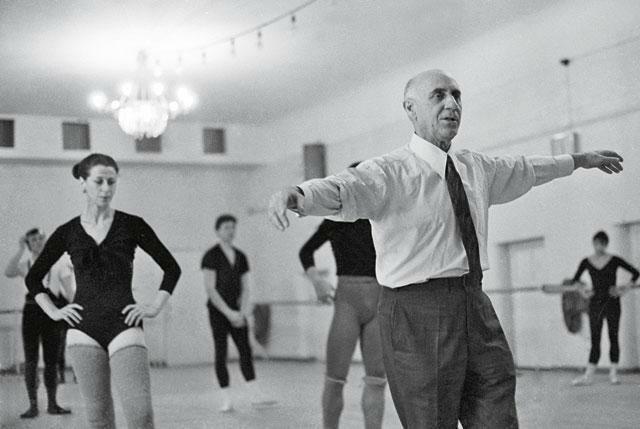 Balanchine used sections cut from the classical version for his Tschaikovsky Pas de Deux (1960). Swan Lake’s steps and structure may be altered in different versions for years to come, but the fascinating white swan/black swan dichotomy, which has inspired choreographers and even Hollywood directors, is likely to endure. Happy #ThrowbackThursday! Tamara Rojo in Cinderella--she's the distressed damsel only in fairytales. Photo by Bill Cooper courtesy of The Royal Opera House. Although it’s hard for me to imagine Tamara Rojo, the strong and savvy dancing director of the English National Ballet, as a helpless maiden (or to look away from those steely legs), she wonderfully captures Snow White’s sweet charm. This 2006 clip is from the balletic adaptation of the tale directed by Emilio Aragón and Ricardo Cué at the Teatro Arriaga in Spain. Though the queen’s evil huntsmen haven’t yet attacked her, you can see how Rojo’s Snow White might incite jealousy. She darts out of the wings with an effortless manège and intersperses moments of light, playful footwork with impeccable quadruple pirouettes and picturesque poses. Beguiling and dynamic as always, Rojo commands the stage. Happy #ThrowbackThursday! Yvonne Chouteau, former ballerina with the Ballet Russe de Monte Carlo and one of Oklahoma City Ballet's founding artistic directors, died on Sunday at 86 years old. Chouteau was one of the “Five Moons," five Native American ballerinas from Oklahoma who gained international acclaim in 20th century. (The others' names you might recognize: Marjorie and Maria Tallchief, Rosella Hightower and Moscelyne Larkin.) In this clip from the documentary Ballets Russes, we can see rare footage of Chouteau's luminous stage presence. She seems to bask in the spotlight's glow during the prayer variation in Coppélia, floating across the stage with perfect, tiny bourrées. In the next dance sequence, she swoops low and springs to relevé with such exuberance, you can't help but smile. 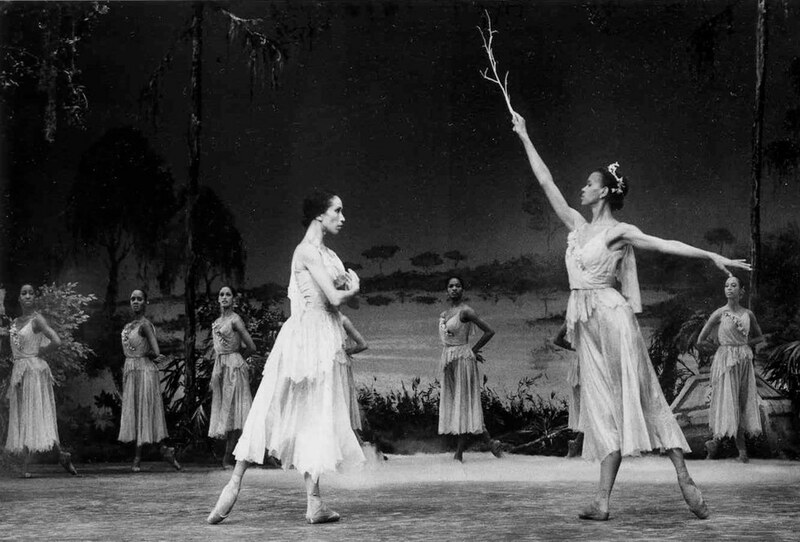 Virginia Johnson as Giselle and Lorraine Graves as Myrtha in Creole Giselle. Photo courtesy of the Dance Theatre of Harlem Archives. If you’ve ever visited a Louisiana bayou at night, with the thick fog and eerie swamp waters, the idea of Wilis floating through the reeds might not surprise you. Dance Theatre of Harlem’s Creole Giselle transplants the Romantic era ballet from Europe to the antebellum South. In this clip from a 1987 film, Virginia Johnson—former principal dancer and current artistic director of DTH—dances the title role. In the Act I variation, she pairs crisp, solid footwork, full of sailing turns and effortless balances, with soft arms and careful transitions. In some interpretations, Giselle’s love for Albrecht and for dancing is exuberant bordering on foolish: You feel for the character in her heartbreak, but it’s hard to be surprised. Johnson’s joy is steadier, more grounded in reality. I think this makes us feel her subsequent tragedy even more keenly. Creole Giselle, staged by dance luminary Frederic Franklin, won a Laurence Olivier Award in 1984. Johnson’s contributions to the dance world are equally notable. 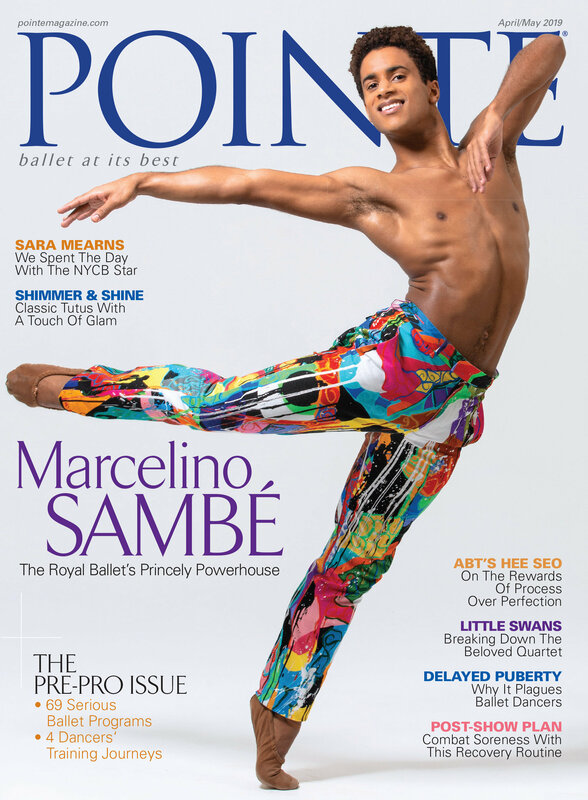 She was a founding member of DTH under artistic director Arthur Mitchell and—another reason why we love her—she served as Pointe’s founding editor-in-chief from 2000-2009. Happy #ThrowbackThursday! 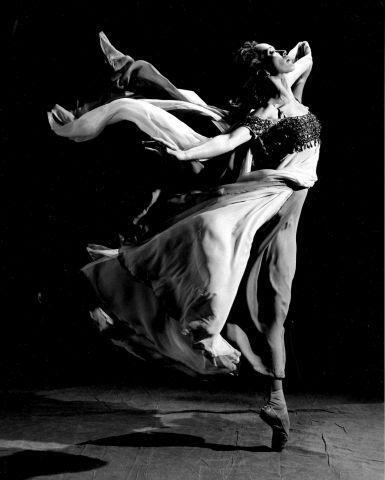 Virginia Johnson, photo courtesy of the Dance Theatre of Harlem Archives. Maria Alexandrova and Ruslan Skvortsov in The Pharaoh’s Daughter. Photo by Irina Lepnyova courtesy of Irina Lepnyova Photography. Sandstorms, opium, lions, snakes—plot devices in The Pharaoh’s Daughter read like a list of clichés about Ancient Egypt. Though 19th century ballets set in the Far East (ahem, Bayadère) tend to emphasize grandeur over cultural accuracy, the dancing is dependably show-stopping. In this clip, Bolshoi Ballet principal Maria Alexandrova performs Princess Aspicia’s Act II solo from Pierre Lacotte’s 2000 version (after Petipa’s 1862 original). With no visible effort—or springs attached, that I can see—she jumps with stunning ballon in the first sissonnes. When the music changes meter, she développés crisply and then enveloppés slowly for a playful contrast. Lacotte choreographed some devilish transitions in and out of pirouettes but, as the 30 seconds of solid applause confirm, Alexandrova retains her regal poise throughout. Alexandrova was grappling with a serious injury in the midst of the Bolshoi’s acid attack scandal in 2013. Though typically media-shy, she decided to open up in the HBO documentary Bolshoi Babylon and in a rare interview with The New York Times. As a revered artist—a principal with the Bolshoi for over a decade—when Alexandrova speaks, the world listens. Alexandrova and Skvortsov in The Pharaoh’s Daughter. Photo by Irina Lepnyova courtesy of Irina Lepnyova Photography.